Members of the Vancouver Division of Family Practice can also find over 150 resources related to Obstetric & Maternity Care, organized according to trimesters, postpartum & newborn information, and general information, on the Pathways system. For more information about Pathways, please call the VDoFP office at 604-569-2010 or e-mail vancouver@divisionsbc.ca. 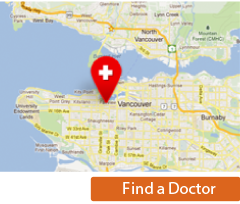 We welcome referrals from community physicians for patients that live in the City of Vancouver. To refer a patient for maternity care, please select the maternity care doctor of your choice using the Find A Doctor page. Please fax a referral note along with all relevant pregnancy information to the office (ultrasound, blood work, pap test). The doctor’s office will contact the patient with the date and time of appointment. Alternatively, please have your patient call the doctor’s office for an appointment. The Patient Attachment Initiative at Vancouver Division of Family Practice welcome referrals from community physicians for patients that live in the City of Vancouver. This referral is for patients who have a delivery provider but do not have an ongoing primary care provider or family doctor to provide care post-delivery. To refer a patient, please fill out the above referral form. Please ensure patient is eligible using the check list along with collecting patient’s consent that acknowledges they are being referred to this program. If available, include any pregnancy and/or delivery information with the referral. Vancouver Coastal Health would like to connect with all pregnant women less than 25 years old as early in pregnancy as possible and to connect with women of any age who need additional support in pregnancy. Family Practice physicians can refer using the referral form, or their clients can call 1-855-550-2229. A public health nurse will contact all women whom you refer and offer them with tailored public health services focusing on maternal and infant nutrition, emotional health, healthy lifestyle (tobacco, alcohol and substance use), safety, effective parenting, and immunization/communicable disease. Following receipt of the referral, the public health nurse will provide you with feedback after the assessment and during the follow-up of all patients you refer. We will also inform you if we are unable to contact your patient.